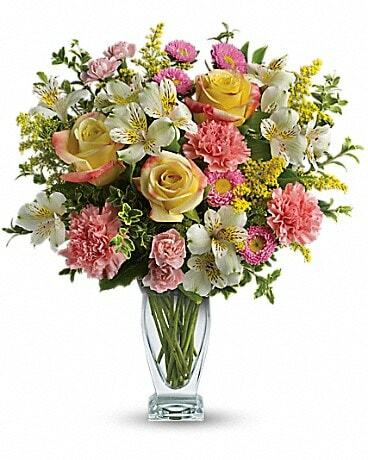 Cover all your bases with our Best Seller Package from Wood Brothers Flowers. 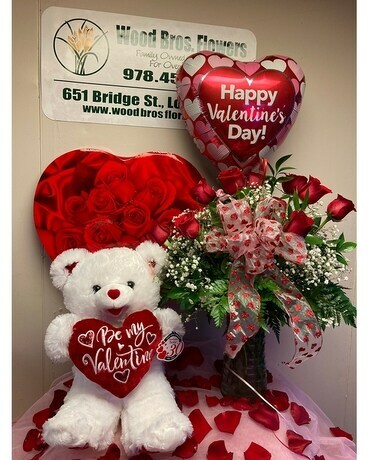 Includes 1 Dozen Premium, Red Roses in a glass vase surrounded by lush greens and babies breath, a large Teddy Bear, Valentine Mylar Balloon, and a JUMBO box of Russell Stover assorted chocolates. Let Wood brothers be your one & done stop for your Valentine this holiday! This incredible Value will sell out, ORDER TODAY! !